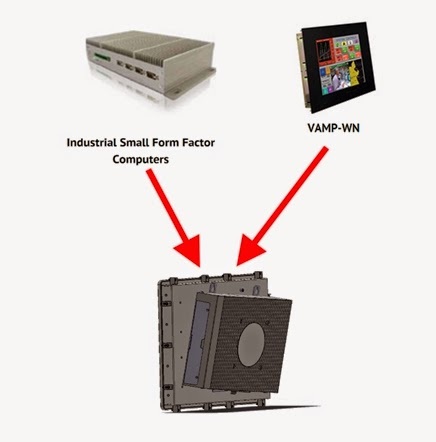 There are two typical ways that Industrial PCs are configured. The first is an all-in-one PC that has an integrated computer and display. 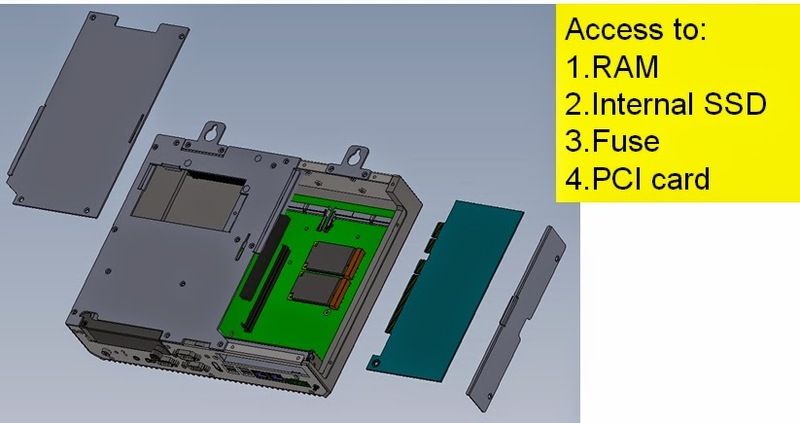 The second approach is to use a separate industrial PC and display with cables running between the two systems. Each approach has its merits and drawbacks. 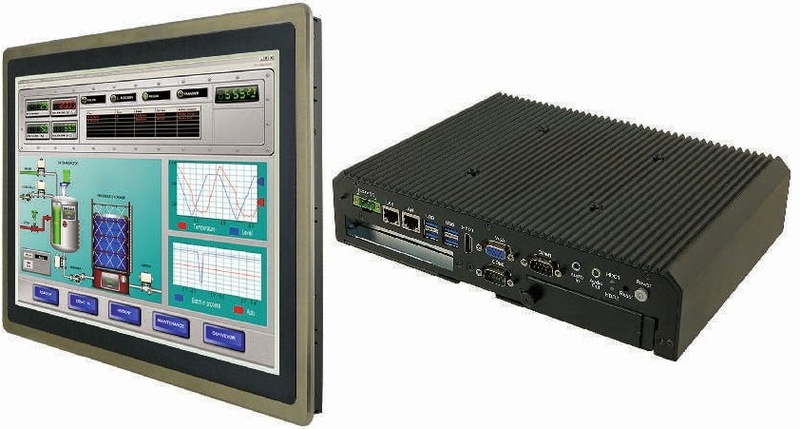 The Panel PC solution is typically less expensive and just needs one power input. The benefit of separating the two pieces is that the display half, if broken, can be replaced cost effectively. capabilities for easier serviceability and maintainability while installed in the field? The Modular display from Computer Dynamics is just such a solution. The Modular PC offers three display sizes: 15”, 19”, and 21.5” (initially) and two computer options: a higher powered Intel Haswell Core i5 4200U and a lower powered Intel Baytrail ATOM E3845. 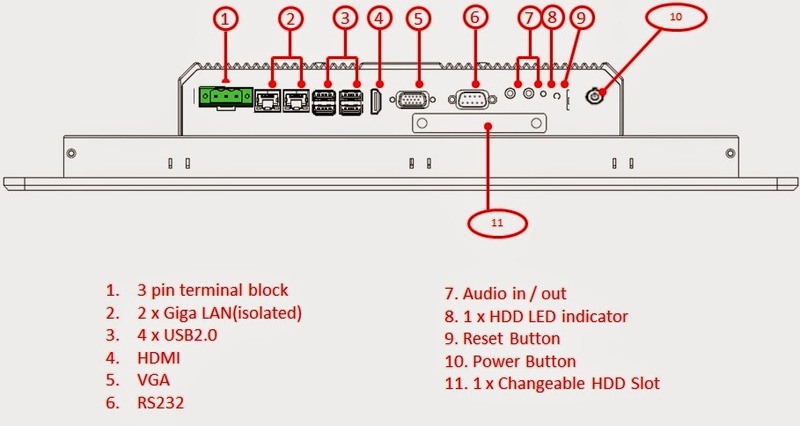 Any of the display fronts can be attached to any of the computer backs. 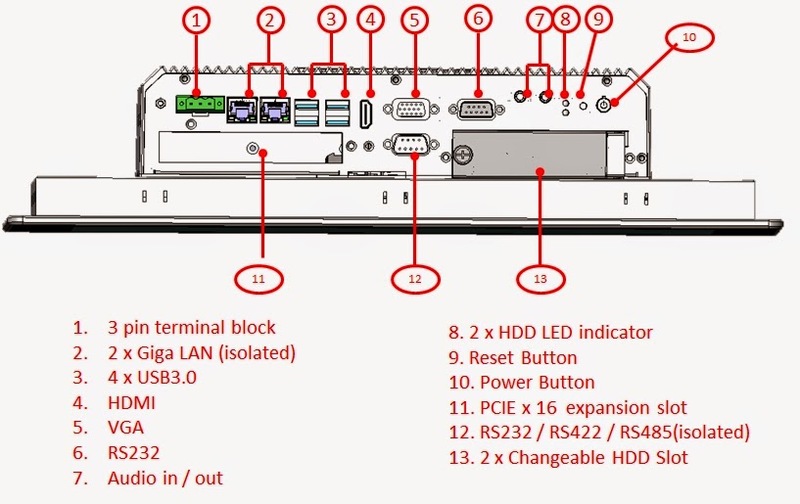 There are no BIOS or DIP switch settings required to setup the different arrangements. If a display is broken while in use, it can be easily swapped out with a replacement so that you are back up and running in minutes, not hours. In addition to the flexibility with the design, we have added the ability for our customers to service and maintain equipment easily. Hard drives, fuses, memory, and PC cards are all easy for a capable PC technician to get to. Components that require factory servicing require the use of Torx screws, so there is a clear definition of how much work can be done on a system before it needs to be sent back to the factory for service. 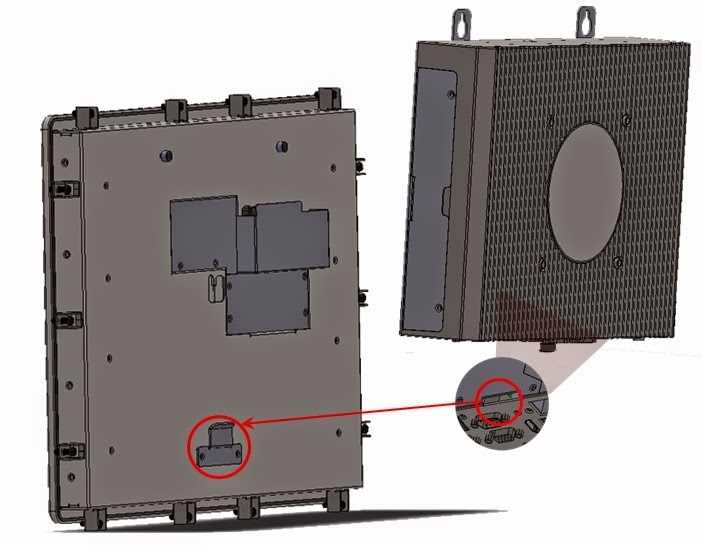 In subsequent blog entries, we will go into more detail on each of the computer platforms, how to easily upgrade and service the units, and how quickly a display can be changed if it were to be damaged. Call us at (866) 599-6512 for more information.